Who Is National Collegiate Trust? Share the post "Who Is National Collegiate Trust?" 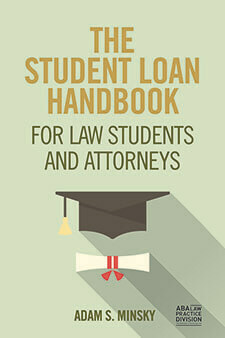 National Collegiate Trust – formally known as National Collegiate Student Loan Trust, or NCSLT for short – is one of the biggest players in private student loan litigation. But you may never have heard of them. And you may not even realize that they claim to be the owner of your student loan. Who, or What, is National Collegiate Trust? NCSLT is not a student loan company; it’s not even a single organizational entity. There’s no call center, no corporate headquarters. Rather, NCSLT is a catch-all term used to describe dozens of individual trusts (the trusts are usually designated by a year and a trust designation – for example, “National Collegiate Student Loan Trust 2006-2”, or “National Collegiate Student Loan Trust 2007-1”). The NCSLT trusts contracts out student loan servicing operations and debt collection to various third parties (such as American Education Services, or AES), so you’ll probably never actually deal with one of the trusts directly. That is correct. The NCSLT trusts purchased bundles of securitized private student loans from various commercial lenders (mostly banks). Put another way, they bought a bunch of private student loans all at once, and now they claim to be the owner of those loans. NCSLT never issued any private student loans directly to any borrower, so no one took out a student loan through them. Does That Mean I Don’t Have to Pay National Collegiate Trust? Not necessarily. 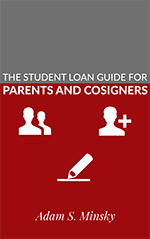 Most private student loan contracts have a provision that allow the contracts to be “assigned” to another party, so that the new party has a legal right to collect on that same contract. For example, let’s say that you sign a student loan contract with “Bank A.” Bank A lends you money, and the contract allows you to pay that money back, with interest. Bank A then assigns (or sells) the rights of that contract to Bank B. Now Bank B says that you have to repay Bank B, as if they were Bank A, even though they are not a named party in the original contract. Assuming the contract is valid and enforceable, you’d probably have to pay back Bank B as if it were Bank A.
I Read Somewhere That National Collegiate Trust is Having Trouble with Paperwork – Is That True? In short, yes. 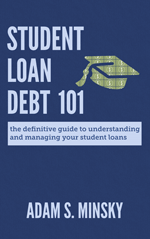 Some background: if you stop paying on a student loan (any student loan), that loan will eventually go into “default” status, meaning that the underlying loan contract has been broken. For private student loans, the only way for the lender to recoup on a defaulted loan is to file a lawsuit against the borrower in court. When borrowers fight back against these lawsuits, sometimes NCSLT has erroneous, improper, or missing records – likely the result of poor record keeping during and after the purchase of thousands (or millions) of securitized accounts from the original lenders. Sometimes they sue on the wrong debt, or they sue the wrong borrower, or they make mistakes in calculating the loan balance, or they can’t provide the paperwork that shows they are legally entitled to collect on the debt in the first place. Does That Mean My National Collegiate Trust Loan Will Get Cancelled? No, not necessarily. These are defenses that can be potentially raised in response to a collections action – and if you prevail, the loan may essentially be “uncollectible,” or you might be able to settle for a steep discount. But if you’re not already in default on the loan, you may not be able to adequately raise these issues. And voluntarily defaulting on your loans can have very significant risks and profound long-term consequences. If you are already in default, there are also no guarantees of a specific outcome; it will largely depend on the particulars of your case, the governing state laws, and even the judge who presides over the litigation. What Happens if I’m Sued by National Collegiate Trust? Check out these tips – and find an attorney to help you.